Director, QuestaGame, visiting scientist, Centre for Biodiversity Analysis, Australian National University; winner Eureka Prize for Innovation in Citizen Science. 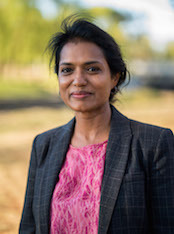 INDIA: Mallika Robinson is a PhD in Citizen Science and Computer Systems, and the Co-Director of QuestaGame. Mallika runs QuestaGame's India Program; winner Eureka Prize for Innovation in Citizen Science. 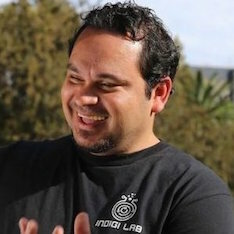 AUSTRALIA: Luke Briscoe, Founder, Indigi Lab, representing 80,000 years of indigenous technology. Terry Hilsberg, Venture Partner, InnoHub Ventures. Katina Michael, Professor, School of Computing and Information Technology, University of Wollongong. Craig Moritz, Director, Centre of Biodiversity Analysis, Australian National University. 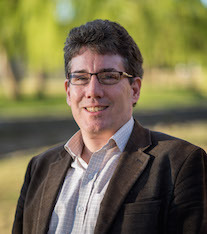 Kevin Thiele, University of Western Australia, former curator of the Western Australian Herbarium. Hamish Holewa, Chief Executive Officer, Atlas of Living Australia.